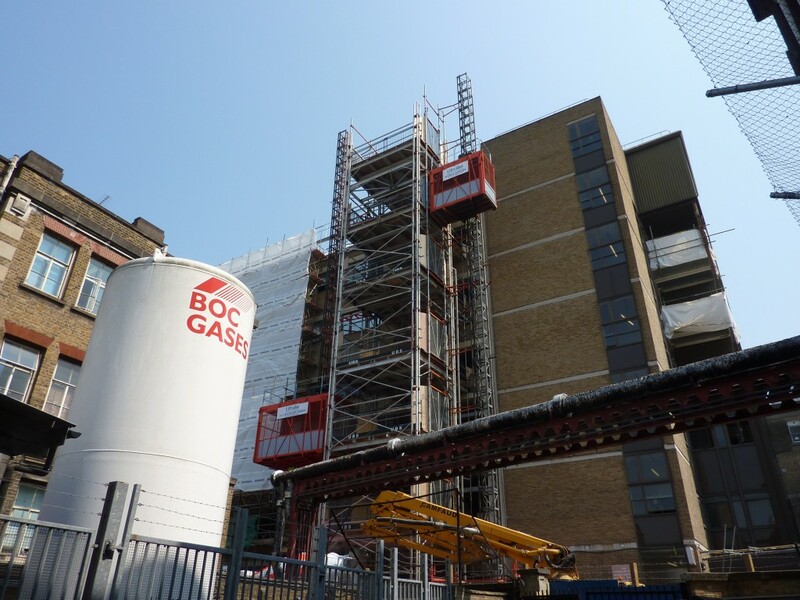 Part of the 10 year construction and refurbishment contract, Skanska are completing major construction works in moving the existing wards to new buildings and refurbishing existing buildings for new uses. 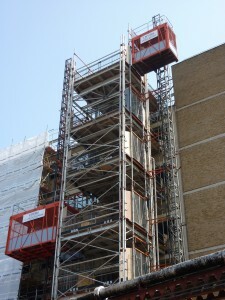 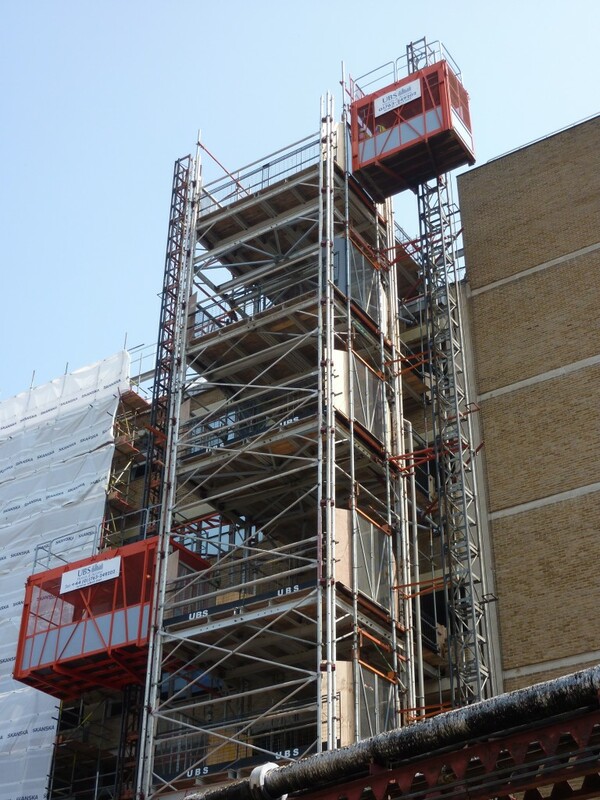 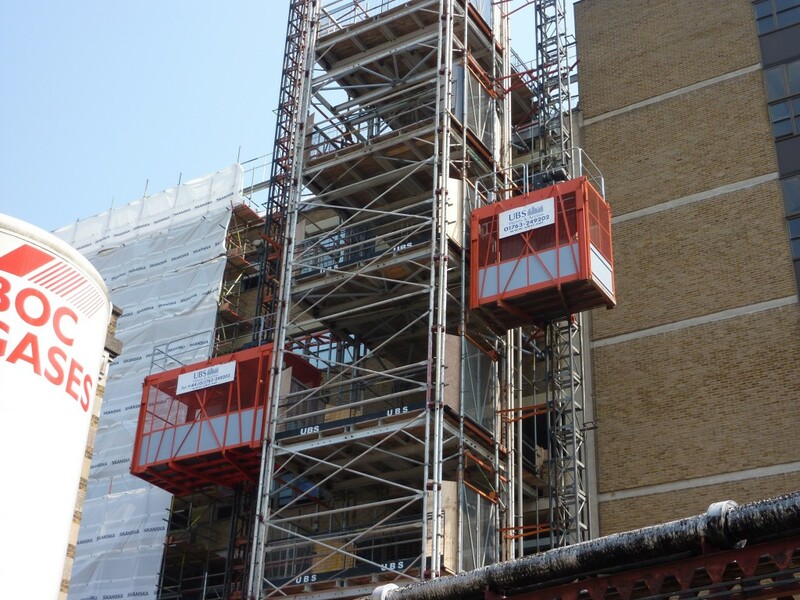 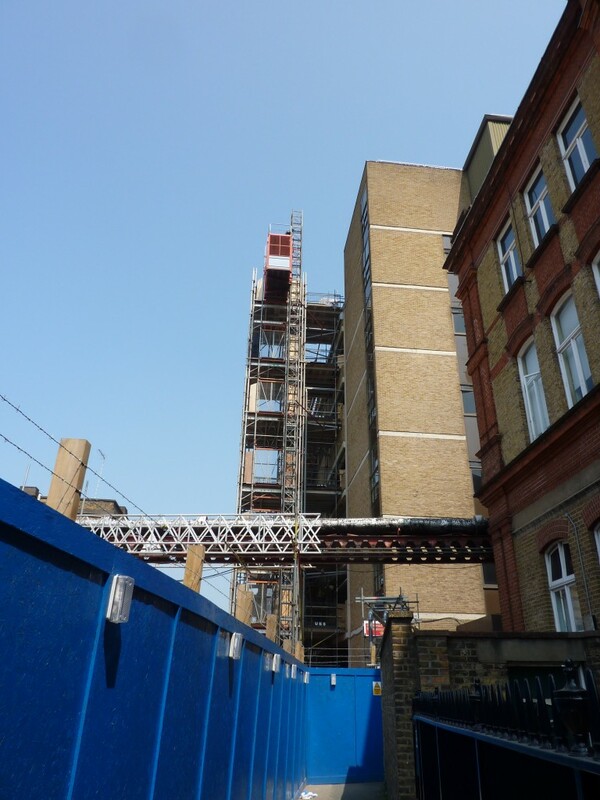 UBS are supplying hoists and common tower to allow access in to the existing buildings, while maintaining a clear roadway for site deliveries. The common tower has 2 single hoists tied to it, and this is then tied in to the structure of the building. 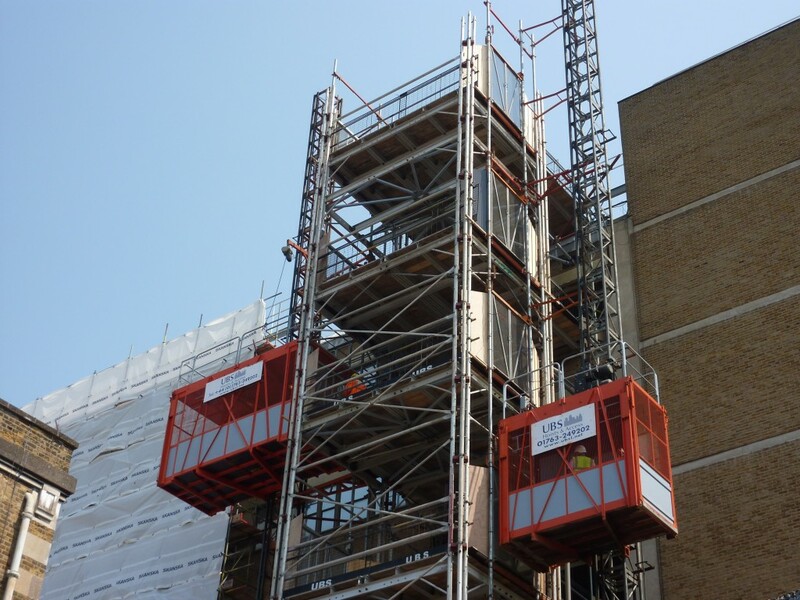 One of the hoists has a cage length of 4.8m, allowing material of a significant length to be transported in the hoist as the site was unable to make use of a tower crane.